As durable as fiber cement siding might be, the time eventually comes for repairs to be made. Some damage, such as occurs during severe storms or fires, makes the complete replacement of the siding on your home necessary. Smaller repair jobs are contained but seemingly cost out of proportion to the work being done. The cost of your repair project is going to be determined to a great extent by the contractor you hire to do the job. Some use only CertainTeed or other manufacturer-specific products while others are willing to honor your choice of products. Contact a manufacturer. CertainTeed, Cemplank, James Hardie, Nichiha, Alcoa and other manufacturers can recommend contractors they know who do good work at reasonable rates. Online search. Begin your search with the term fiber cement contractor and add your city and state. Search engines are particularly good at identifying contractors for specific regions though this isn't always the case. Ask the suppliers. Local building supply stores, lumber yards, and home improvement outlets. These businesses regularly deal with contractors and know who does a good job, works for reasonable rates, and will keep your fiber cement prices down. Yellow Pages. Listings of contractors are in the phone book as well as online. Local internet listings are quickly taking the place of more traditional phone book advertising. Better Business Bureau membership. Reputable contractors often belong to the local BBB. This is an organization that likewise helps you weed out bad contractors by cataloging complaints against them and letting you know about the complaints upon request. 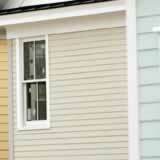 Make your fiber cement siding project affordable by hiring the right contractor. It's your money.